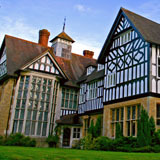 Ellel Grange is the International Headquarters of the ministry and is where the work began, back in 1986. 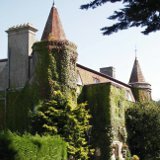 It is a beautiful country house, from which we offer a wide selection of healing and training events, including the nine-week Flagship Programme and special in-depth teachings. Glyndley Manor is located on the south coast of England. As well as holding a wide variety of training and ministry events, we have a particular vision to bring healing and restoration through Restoration Weeks. Ellel Pierrepont is the home of the long-term international training programme known as NETS. We are located near London and we also offer a wide variety of shorter events. 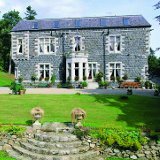 Blairmore House, the home of Ellel Scotland, has a particular vision to minister to pastors and leaders from around the world through Operation Blairmore retreats. We also hold events focussed on ministry to deeper healing needs. Ellel Ireland has a vision to bring healing and restoration to the peoples of Ireland through personal ministry opportunities as well as training and ministry events. We hold events in both Northern Ireland and the Republic of Ireland.